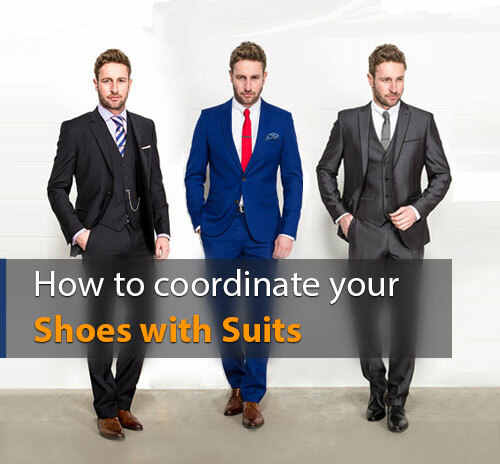 We all know that choosing a suit is fine but what shoes to wear with them is a tricky job. With so many all around, we often get confused to choose shoes for our suit, either we fail or we become a fashion disaster. On both the sides- we end up in an embarassement. Keeping all this mind, we have come up with a few options for you to choose from. The Black Suit: When in doubt, wear black! We all know that the black suit is a versatile piece of men's wear. Perfect for a dinner party, a formal evening or any particular occasion or event that requires a sophistication. Moreover, black suit would be best when suited up for an evening occasion. A pair of black dress shoes will give you a sharp and a clean look. The majority of men will go for a white shirt for this, but dressing whole black is a big YES. The choice is all yours, either go for a whole black look or stick to light shirts or white so that it does not clash with your shoe color. The Navy Suit: This suit is all time favorite since job interviews, drinks and office hours. It is the versatile suit and is easy to look after. Navy suit goes on almost every occasion, all you need to do is select perfect shirt and shoes and you are beady to bang! Navy suit with both black or brown shoes can give you a versatile look. If you are short in height and somehow looking for height increasing shoes, then explore them here. So, don't let anything come in between your style. The Grey Suit: This color suit tends to work as an alternative to the navy suit. The grey suit will give you an intense and a matured look, thus making you different from everyone only if you have selected the perfect shoes. When we talk about shoes, make sure that they are not shiny and obviously a big NO to grey shoes. Again, black and brown shoes are a big Yes. The End Note: Always remember a suit is a powerful weapon when styled properly. So, pick which is right and colors that compliments your personality.